Introducing the antidote to dull, flat, lifeless hair and this you'll be pleased to know is an absolute LOVE! Having tried many aerosol dry shampoos and style refreshers I haven't been overly 'wowed' by any of them. Percy & Reed came close but I find those aerosols don't last two minutes on hair my length and thickness. I hadn't tried a powder form before but I have to say I'm more than converted! 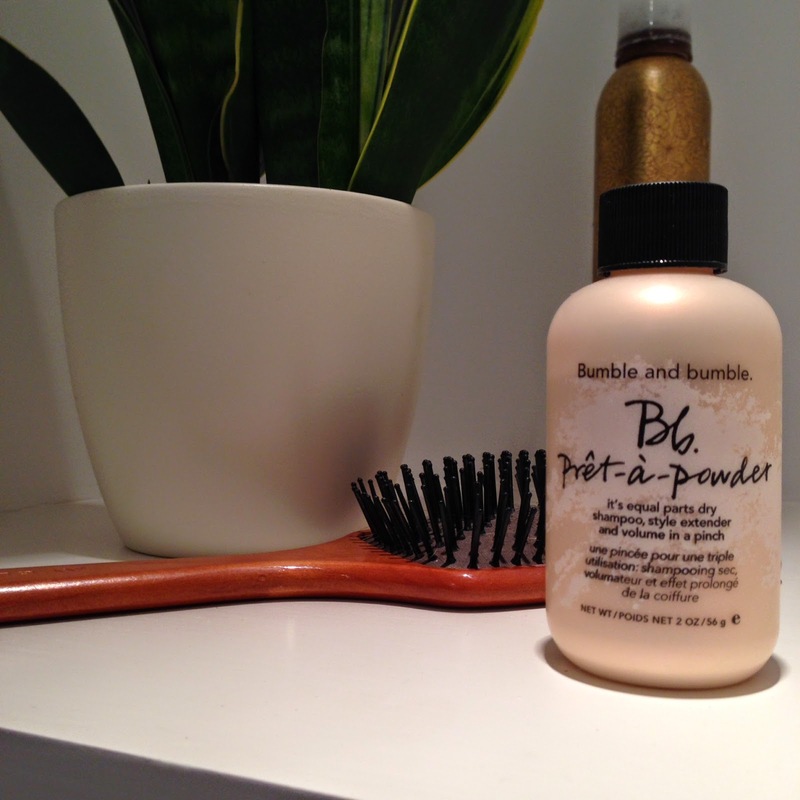 The Bumble and bumble Pret-a-Powder is divine! It looks as though you don't get much in the little bottle, but you don't need a lot for great results. I've used this quite a few times now and there's still tonnes left. The tiny little hole in the bottle means you don't get too much out and you can shake it in your hair quite precisely. You massage into the hair as you would a shampoo, then I tend to give it a little bit of a brush to distribute things nice and evenly. It smells really good, subtle is the word I would use. This is good stuff people! If you're after a new dry shampoo / texturiser hybrid, this is your one. Not much more to report in my world currently. Still trying desperately to train the dog (it's now refusing to go to toilets on walks - she's a fussy little thing!!) and the other half and myself are currently fixing up the garden and dining room so that we can at last have people over to our house and do a little entertaining! I'll pop some pictures up when I'm done although we're far from that point at the moment! I have just bought this too-but I still haven't tried it yet! The Bumble and Bumble Blondish Hair Powder is fab for adding oomph/grit/texture/oil absorption but they price tag is erm pricey! Hope this is a good substitute! This sound really lovely Lis! I will definitely check it out! I could use some extra volume! Your hair always look lovely!